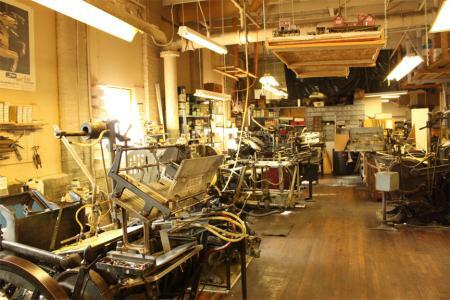 Spoken for Press/Printers Specialty Services, Inc. is a full service, old world print shop located in the heart of Rockford, IL. Beginning with one press and a lot of heart in 1965, we have grown to include eleven presses and over forty years of experience. Handsetting type makes us tick. We are pretty crazy about our old cast iron presses and like to say ours have a combined experience of 635 years, as the oldest press dates back to 1916. We offer a wide range of letterpress finishes and die cutting applications. Every order is hand run with love on our presses.